Welcome to the Cracking the Fringe website - an online repository of knowledge about the Edinburgh Fringe Festival, the world's biggest and best arts festival. Here you'll find lots of posts based on hands-on Fringe experience. 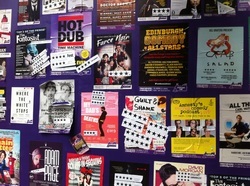 You'll find a wealth of interviews from Fringe folk, from guidance on creating a fantastic Fringe flyer to how to give those flyers away and what it's like coming to the Fringe from overseas. We've got a list of venues and Fringe publications which'll be really useful in your quest for Edinburgh glory. Thrillingly, we've collected all this knowledge into a comprehensive book, available from this very website. You can download a PDF eBook here (the cheapest option! ), or you can purchase a hard copy or Kindle version from Amazon, which - we're not gonna lie - is pretty cool. 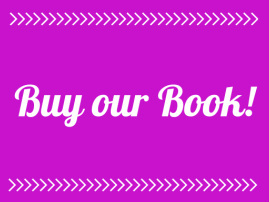 Not only have we got a book, but loads of extras - helpful discounts, a monthly emailer, a list of the Fringe Twitterati that you should be following and talking to, even an audiobook (so you can hear our dulcet tones coming at you through your speakers). Check it all out here! Questions? Thoughts? Just want to say hello? Email us at crackingthefringe@gmail.com or Tweet us @FringeCracker. Enjoy the site!